The system uses tracking pixel (later referred as "pixel") to notify affiliate network on an action performed on advertiser's website. In lay terms, when an action is performed, the code of the page that visitor is loading includes the code that loads a transparent 1x1 pixel size image from the SLICE Digital server which is invisible for visitor. This image is used to execute a request to the affiliate network server and transfer the required parameters. Any sequence of numbers, letters, and characters without spaces can serve as an ID. The afid parameter is transferred to pixel. XXXX values in the pixel must be replaced with the real values. The script is intended for transferring visitor's action and must be installed on the page that confirms this action - 'Thank you' page. The iFrame protocol is the option for tracking conversions on the client-side, it is generally more accurate than using an image pixel because it does not use the image tag to call the conversion URL for the offer, which has proven to be less reliable. 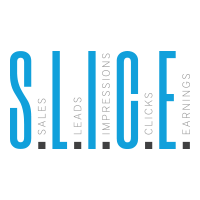 Another advantage that iFrame has is its robustness in firing affiliate pixels inside itself. When an affiliate wants to track conversions on their end, they can place their own pixel inside to track in real time. When you have an iFrame pixel, this has unlimited formats to load their pixels, while image pixels can only load other image pixels. iFrame is usually the best option to track conversions on the client-side. This does not mean that image pixels are not accurate, they use the same methods for tracking conversions as the iFrame pixel. Like the iFrame pixel, the image pixel runs into the same limitations and advantages that iFrames do. With cookie-based offers, the cookie will remain in the users browser even if they leave the offer funnel and leaves them the potential to come back later to the offer and convert. Just like the iFrame, the only step to set up the offer with an image pixel is to add the code to the conversion page. Cookie-based tracking with iFrame and image pixels does have a few limitations. When placing a cookie in the users browser, you are running the assumption that the user will not modify the setting in the browser, or clear their cookies out, which happens on occasion. There is also the risk of the user blocking cookies in their browser, but can still convert on the offer. Both situations will result in legitimate conversions not being tracked. While these instances are very rare, this is something to consider when tracking offers with cookies.